count me in the company of arthur wellesley, 1st duke of wellington, and eeyore, the donkey with the pinned-on tail. mistake us not for misanthropes of the first order, but rather aficionados of the rainy day. the gloomy day. the day when it seems the heavens have dropped down an afghan the color of soot, and punctuated it with the drippings of a long and leaky pipe. wellesley, you might recognize, was the fellow who thought to rubberize his war boots, back in the early days of the 19th century — voila, “the wellie.” eeyore, well, hopefully, you know him from the early pages of a.a. milne’s “the house at pooh corner,” the titular house being the one constructed of sticks and twigs to give poor gloomy eeyore a place to cower from whatever poured from high above. it’s been months and months since anyone around here woke up to the ping-ping-ping of precipitation pouncing against the downspouts. or rat-a-tat, hard upon the windowpanes. and when’s the last time the squawking voice in the radio box spewed the onomatopoeic forecast “drizzle,” all morning long? pureed with fog and mist. to borrow a line from john hersey’s “hiroshima,” maybe it’s merely an “irresistible atavistic urge to hide under leaves.” or maybe it’s the irish in me, most at home when the thinning between heaven and earth is all a blur, and we face the day cloaked in skein upon skein of sheep sacrifice. i fear i might have been the little child who, when faced with a crayola super pack of 64 waxen sticks, grabbed straight for the shadowed hues, charcoal gray and periwinkle (colors added in 1949), ignoring altogether the sunnier, carnation pink and aquamarine (both ’49ers, as well). it’s the depth of texture i find in gray days, in sodden days. there’s something to sink into, to rub up against — even if it waterlogs your socks. perhaps it’s my fondness for worms, which come out to play when sidewalks slick and water gurgles up from the thawing terrestrial ooze. who could not fall hard — and forever — for a four-legged prognosticator who works so hard to find a shard of light amid the endless shadow? no earthquake lately, indeed. nothing but the silent falling snow. and cold that takes your breath away without a word. so what’s not to delight with the noisy brand of precipitation? the pit-a-pat that lulls you into dreamland, and syncopates your morning’s rhythm? it’s but a whisper in the world beyond our windows, but it’s one that draws me in, and holds me close. and i consider it a blessing. 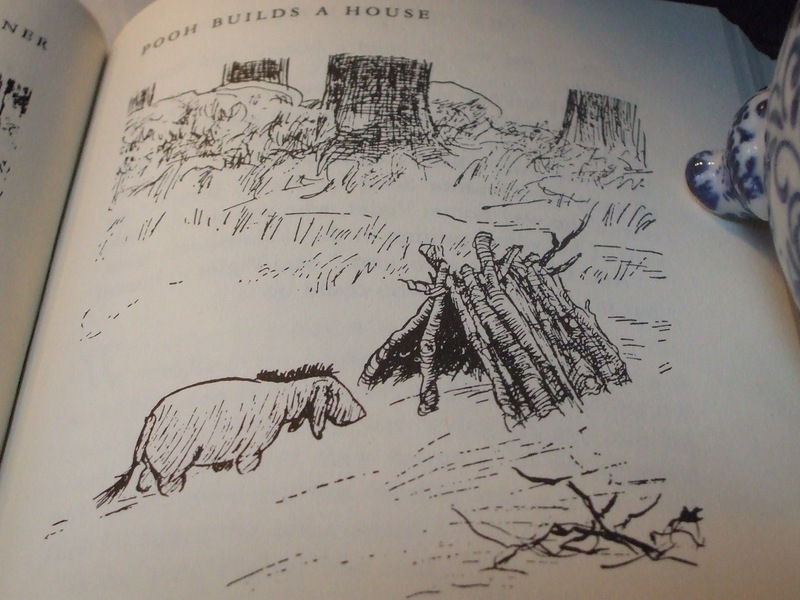 the blessing of an eeyore day. short, sweet, simple. more like weather dispatch with a bit of muse. or maybe just excuse to pull an old favorite from the bookshelf. i’m headed out for worm patrol any minute now, that long-held mission to save all squirmy things from dry-docked death. the manuscript is off in copy editing. and just this week, i discovered a name that i’ve long known, long answered to, has been added to the “authors” roster. so that must make it official enough. and there it is, almost like getting a peek at the amniotic-slicked crown of a baby’s head as it wedges through the birth canal. it’s slowing time, a book with my name on the cover. and pages and pages of my heart inside. and it will be in bookstores come october. or maybe even september. and for a girl who long ago sat tucked between her twin beds, splayed upon the braided oval rug, folding blank pages in halves and quarters, drawing pictures, pressing pencil to page to add sentences and paragraphs, it rather makes my heart thump to see that this time someone other than me is doing the work of rolling those pages off the presses, stamping that copyright on the page with the bit about the library of congress. it’s a book that was born here, at the old banged-up maple table, where for so many mornings now we’ve pooled our wisdoms and our paying attentions. i think the page that made my heart thump the loudest as i was writing it, was perhaps the dedication page. that’s where you dig down deep and pull out the plumpest roots, the ones without which your heart might wither and die. you’ll find the chair sisters nestled there, in that abbreviated roster of literary midwives, the ones who propped me up on days when i might otherwise have wilted. or crumbled. or run away to hide. what that means is that you and you and you are among the winds that blew me forward, that would not let me fade away and give up hope. it’s not so easy putting words to the whispers of a heart. but what i found is that the more i typed, the more i believed. what i love best about slowing time is that it’s a compilation of the quiet art of paying attention. and paying attention, i’ve found, is a silent — yet deeply animated — form of prayer. it’s tiptoeing through the holy hours of the day, of the seasons, and opening your heart wide enough to feel — and shlurp up — the brushstrokes of the Divine. sometimes it comes in keeping watch as mama bird builds her nest, as she scans the clumps of rustling grasses, plucks the fattest one and flies it back to the hatching branch. and, all the while, she’s teaching you a thing or two about resilience. and inexhaustibility. and faith, no matter the pounding of the springtime’s downpour. often, for me, a lifelong churchgoer — one who pedaled her bike six weeks straight to early-morning mass the lent that i was eight and working hard to put shine to my halo — the Divine has skipped across my heart as i tiptoed into synagogue and wrapped myself in prayer at once ancient and timeless. the undiluted premise of slowing time and the heart behind it is that the Divine is all around, if we slow down and pay close enough attention. it is a life of prayer lived in the thick and the messiness of the everyday. it’s pure wonder that mary oliver, my poet priestess, graces the book’s first page, and it’s no accident that emily dickinson — “some keep the Sabbath going to church/ i keep it, staying at home” — is my patron saint. my prayer is not bound by religion, but thrust heavenward by heart and because i’ve learned — stumbling all along the way — that most essential element of every prayer: the unspoken line where we are deeply listening. here’s a peek at the publisher’s catalog for slowing time. and bless you every one who pulled up a chair, and shared a wisdom — silent or otherwise — here where we call it holy communion. with a splash of cream. how do you practice the art of slowing time? then the old black phone beside our bed rang. this time we answered. it was the college kid. and at 10 o’clock on a sunday night, he decided he wanted to talk. needed to, is what it amounted to. and so, for most of an hour i lay there, flat on my back, holding the phone to my ear until wrists and elbows got stiff, got achy, so i’d rearrange the cradling of the little black box that connected me and my faraway boy. after a while i started to notice that the sleeping lump beside me was doing just that: sleeping (or trying to, anyway). so i flipped back the sheets, hauled my tired self out of bed, and spent the next good hour curled in a chair in the college kid’s room, where he and i wound to the end of the list — the things that must be discussed at midnight on sunday, at the end of a very long weekend, at the end of a very long week. it’s why i call this the most important job i will ever do. it’s why, two days later, when i went to visit a dear dear friend who’s just had a new baby, her first, i marveled as i watched her besotted in love with her sweet breathing, gurgling, occasionally squeaking baby. i saw that look in her eyes. i felt the wonderment. i recognized right away how, suddenly, this little nine-pound wad of hunger and doze, it consumes you. you might keep charts of which breast is on tap, and for how many minutes the little guy sucked. back in the day, i did so with paper and pen, and a safety pin i tried to remember to move from one nursing bra strap to the other; my dear friend clicked her uber-smartphone, and there the breast-feeding app kept time for her, tracked which side was which, and how long he was at it, the guzzler. 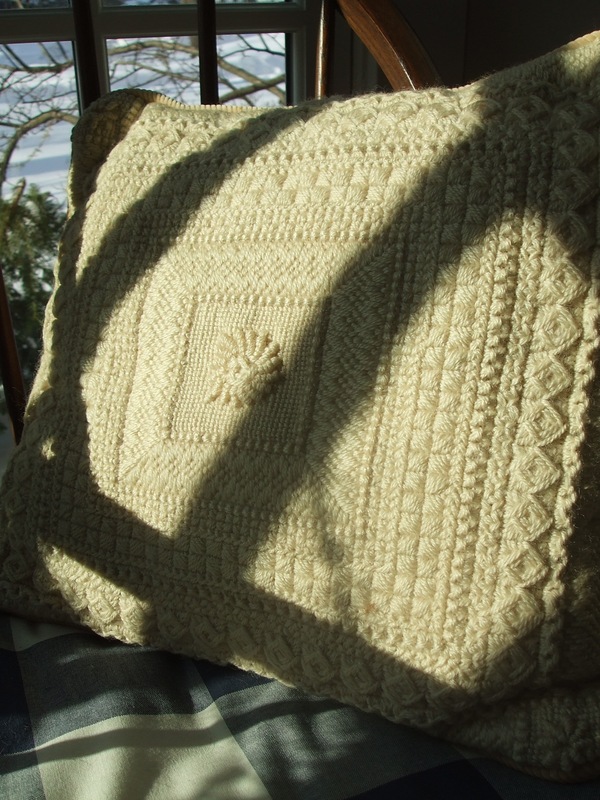 in that glorious meld of weaving her old life into her new one, i smiled as i looked at the piles there on her bed. she was propped up with pillows, the baby reclined on the niftiest nursing contraption i’d ever seen (looked not unlike a lifesaving flotation device, except one with pocket for tissues and strap for a binky, i guess, all wrapped in quaint baby cloth). but all around her were the sorts of deep reads for which my friend lives. she’d been reading aloud pages of the atlantic monthly and “road song,” natalie kusz’s heart-wrenching nonfiction tale of trauma and loss and redemption, because what newborn baby isn’t lulled by the sounds of his mama’s voice, and why not start the literary steeping on day one of his life? i stayed as long as i could, till the light from the west slanted in, slanted down, slanted thinner. watching her, listening to her and husband recount twist after turn in her 38-hour labor, i couldn’t help but be lulled back in time, to the start of this ancient and timeless arc, the whole-body immersion into motherhood. by miracle of accumulated years, i suddenly find myself 20 years away from my start. and thus, whirling inside me, i had the breathtaking knowledge of why those first hours and days are so vitally sealed. why, as mothers, we practically need to be vacuum-swooped down the vast and cavernous tunnel of love that is the adventure of a lifetime, that is cradling a life, soon taking it by the hand, and eventually letting it go, to soar and to dip and to dive all on its own. and to be there, on the end of the line, when the ring rings at 10 in the night. or 11. or 1. or beyond. to fall madly in love, to feel fingers the size of a matchstick curl and cling to your flesh, to come to know the particular snorts and the grunts of that loaf of blanket and fuzz strapped across your chest, across the place where your hearts pound in echo. to spend your waking hours clocking his input and output, it is all a part of the alchemy that seals mother to child. and keeps us in for the long haul. what else could so fixate us, could so call out to that seed buried deep in our hearts, the one that’s been waiting since the day we were born, we were cradled, to turn and do the same, to return the grace of generation upon generation? to mother a child through all the tight spots and twists that tumble onto the miles and miles from nursing pillow to college diploma, and each day ever after. if it wasn’t for hearts hermetically-sealed from the get-go how else could we stick with this uncharted program? who’d sign up for a road trip that, at any turn, might find you splayed on the bathroom floor at 3 in the morning when a little guy’s retching his guts out, or when the bath needs to be drawn while the birds warble their morning song because the mercury on the thermometer reads 105 and you’re scared out of your wits, and willing yourself to not crumble? what else would keep you upright when the phone rings and the next thing you know strangers are talking of airlifts and ambulances and necks that are broken in multiple places? or keep your knees from buckling when your lanky kid is lying there in the ICU half-buried under a web of IV tubes and oxygen lines running this way and that, and you count as many as six different needles shoved under the skin of his banged-up and bleeding forearms? motherhood is not for the faint of heart, and the heart needs to triple in size, so it seems, to pack in the requisite vast and infinite wisdom — and patience and sheer calculation and imagination and stamina and worry and second-guessing and, yes, full-throttle pangs of remorse when we get it wrong, time after time. and motherhood holds no escape clause. we’re in it for keeps. which is why we sometimes find ourselves mumbling aloud, as we shake fist to the heavens and ask why-oh-why we are once again searching the house for the shoe/the soccer ball/the library book that somehow escaped from its last-known location. or driving umpteen hundred miles to drop off precious load at the side of some far-flung soccer field. or sending a note to the teacher, asking if maybe we could meet after school, to find out why this fourth-grade math is so very mind-bending. but what other adventure known to humankind might find you taking a little child by the hand, just after a soggy afternoon’s rain, and heading out the door in search of worms that might need rescue, plucked up from the unforgiving concrete sidewalk and tenderly placed in the oozy garden? or have you witnessing, from the very front row, the moment when mixed-up alphabet letters on a page suddenly rearrange themselves into equations called words, and the child is off and reading? oh, it takes love, all right. deep-veined love. the sort that re-routes all the wires inside you. that literally re-scripts your dreams, gives center stage to the newest dearest soul in your life, one you suddenly realize you can’t live without. and for the first time ever, perhaps, you know what it feels like to know that you’d throw yourself, in an instant, between a car or a train or a boulder barreling toward that babe who looks in your eyes as if his life depends on you. 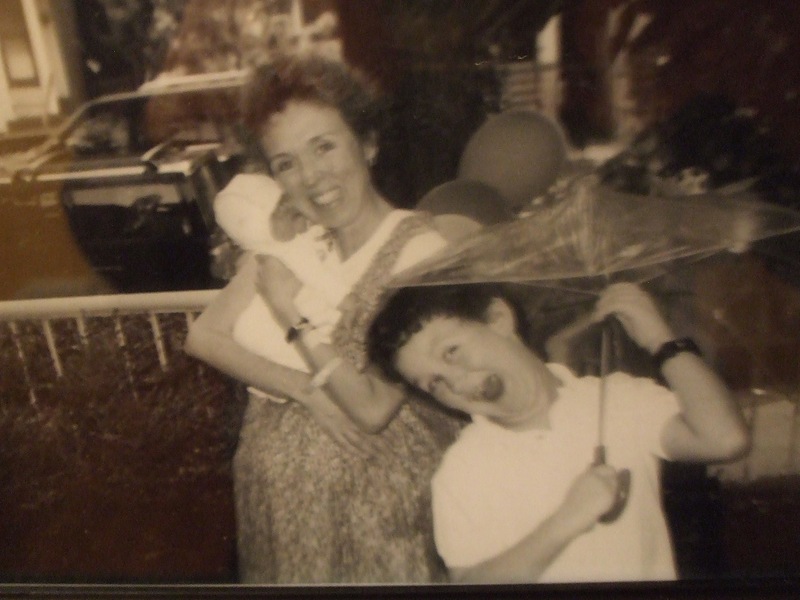 that old snapshot above is one of my favorites, from the very day the little one came home from the hospital, and his big brother held high the umbrella, the first of many shieldings from the elements. i am wholly aware that parenthood isn’t everyone’s path, and that every single one of us finds our passion one way or another, and devotes the better parts of our hearts to that very something. i simply turn to motherhood because for me it’s been the keeper of all the most essential lessons, and the blessing that’s lifted my heart to the heavens. what’s the thing that’s brought your life its most essential truths? like the birds in the bushes who’ve flicked on their vernal soundtrack, and the flower heads who nod toward the arcing solar orb, i too follow the light. and this week, as i dragged through the dregs of my soul, fearing i might never emerge from my doldrums, i finally, miraculously, felt an uplift inside. as if a spark plug was at last being triggered. as if, just before the final sputtering out of what was left of my oomph, something deep down went kerplunk, a sort of holy rejuvenation. i took it to be a hand extended from on high. i all but felt the Divine yank me out of the murk and into a passing-by sunbeam. it’s all the wonder of a globe that spins on an axis, a globe that moves us into and out of shadow. and our time out of shadow is coming, is inching our way. minute by minute, hour by hour, we are leaning into the light. and while i love winter as much as anyone — save for the moose or the elk who stay out all night and romp to their hooves’ content — and while, even amid the mountains of charcoal-gray piled-high snow cliffs, i am still able to marvel at the ice-crystal diamonds scattered across the morning’s white-scape, i admit that all these long months with not enough sunbeams had taken its toll on my spirit. i was lagging. was heavy with worry and doubt and confusion. and then the flutter came. the flutter of lightness, deep down just under my heart. suddenly, my feet weren’t so heavy. nor my shoulders so flinched. hope was the thing that stirred. hope that the lightness was coming. that, soon, the bare naked branches would slip on their vernal green gloves. the nubs of resistance would push through the hard frozen crust of the garden. 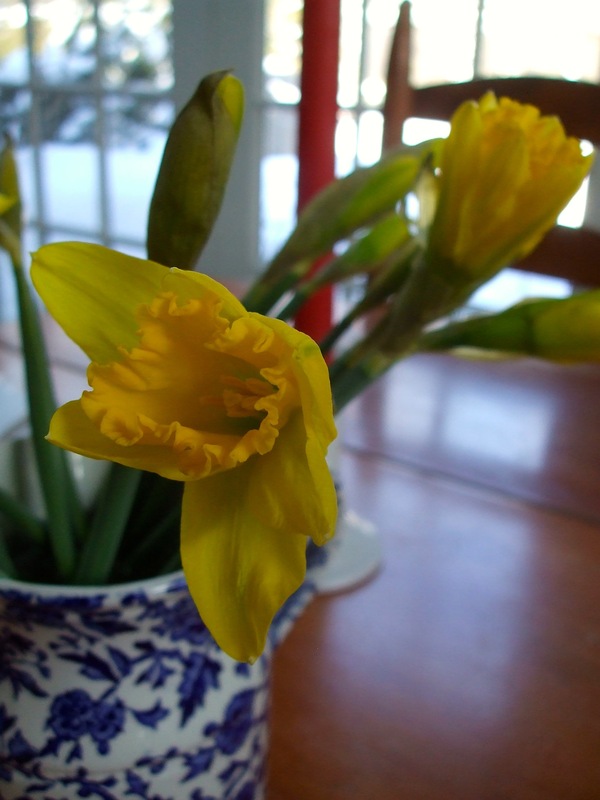 spring would arrive, would demonstrate the power of birth after death, after long winter’s doubt. it’s as if the message is distilled into each of the light beams, the ones that now spill through the smudged panes of glass. the ones that pour across floorboards, daring us to look down and notice. to pay attention. to remember: light follows shadow. even deep down in our souls. especially deep down in our souls. because, year after year, spring after winter, the truth comes again and again: there is light. and there’s life all over again. all tender and fledgling and new. and if you keep your eyes and your heart attuned to the heavens, and what spills from above, you — like the sprouts reaching up from under the snow — will come to know, once again, the holy exhalation of being deeply alive. and so we turn a page, and turn forward our clocks. it’s time for more sunlight to seep in to the cracks and the crannies so starved in so many ways. any hour now, my house is filling with faraway and deeply-loved family, so i’m bustling along. scooping up light beams wherever i go. blessings to you this light-filled week. anyone else at the end of their dim-lit ropes before this week’s saving grace reached in and rescued?